A traditional upright piano, affordable! 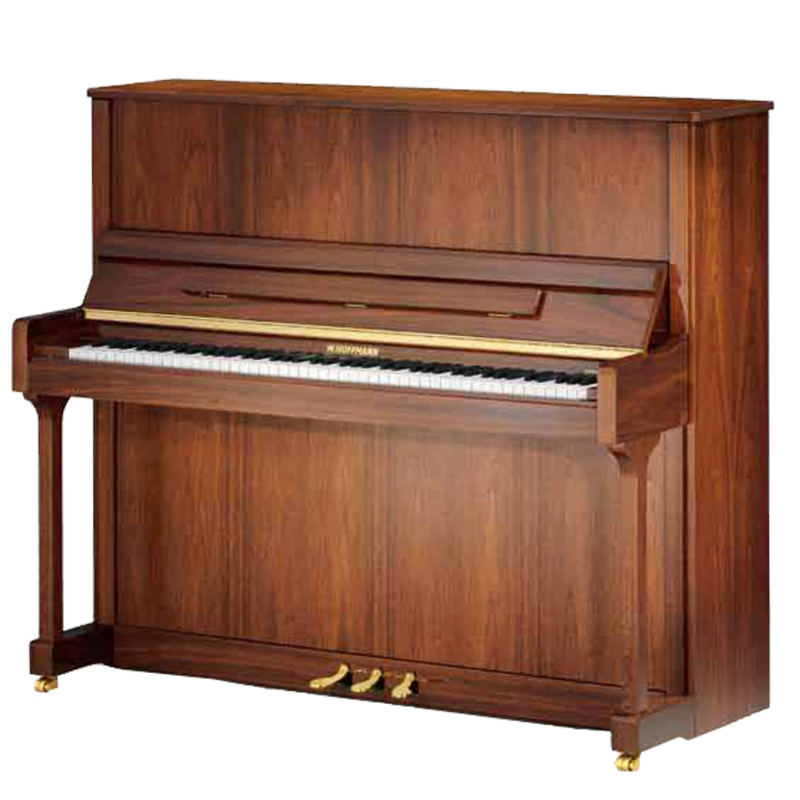 Why does the W.HOFFMANN Tradition T 128 upright piano convince even you? You love a harmonious, balanced tone, flawless playing experience, an instrument on which you feel at home? Then quality from Europe is just the thing for you, because the art of piano making has its home here. And because in Europe there is a natural feel for this craft. C. Bechstein – the German premium manufacturer – is now building something new: pianos which are very affordable and just to your standards: W.HOFFMANN, by C. Bechstein Europe. For all W.Hoffman pianos the Vario System is optionally available. You can practice at any time of day or night. The playing feel remains the same, but the hammers do not touch the strings, rather they are first intercepted and reproduce by means of sophisticated electronic sensors the digital pre-sampled sound of a concert grand piano. Your neighbors will love you! Still more reasons why this W.HOFFMANN Tradition upright T 128 is favorable. For all W.Hoffman pianos the Vario System is optionally available. You can practice at any time of day or night. The playing feel remains the same, but the hammers do not touch the strings, rather they are first intercepted and reproduce by means of sophisticated electronic sensors the digital pre-sampled sound of a concert grand piano. Your neighbors will love you!